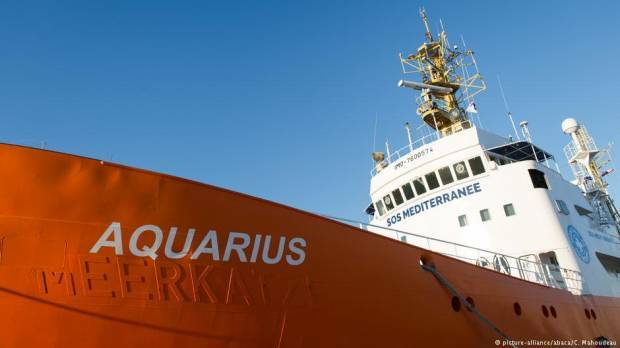 The Aquarius search and rescue ship has ended its operations after saving tens of thousands of migrants from drowning in the Mediterranean Sea, Doctors without Borders (MSF), one of the charities that ran the ship, said on Thursday. The ship has been blocked at the French port of Marseille since the end of September after losing its Panamanian registration. Italy also ordered the boat to be impounded last month. Italian magistrates accused MSF of illegally dumping toxic waste at ports in southern Italy, a claim the charity vehemently denies. “This is the result of a sustained campaign, spearheaded by the Italian government and backed by other European states, to delegitimize, slander and obstruct aid organizations providing assistance to vulnerable people,” MSF, who chartered the ship with French NGO SOS Mediterranee, said in a statement. The ship rescued more than 30,000 migrants since it first left port in February 2016, including more than 3,000 in 2018, according to SOS Mediterranee. It was the last NGO-chartered rescue ship operating off the coast of Libya, a key departure point for many sub-Saharan African migrants — there were five groups running rescue ships last year. The ship was denied port by multiple times by European countries bordering the Mediterranean this year. It famously traveled 1,500 nautical kilometers (810 nautical miles) to Valencia, Spain with 629 migrants onboard in June after being turned away by Italy and Malta.